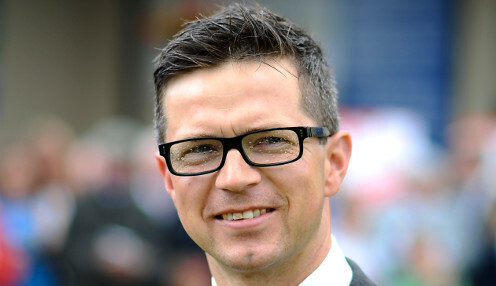 Roger Varian is confident that Barsanti is capable of a big run in Thursday's Princess of Wales's Arqana Racing Club Stakes at Newmarket. The six-year-old justified odds-on favouritism on his reappearance at Ascot in May to win the Listed Buckhounds Stakes, holding off Mirage Dancer in a close finish. Varian was left scratching his head, however, when his charge finished fourth of five in the Hardwicke Stakes back at Ascot during last month's Royal meeting behind the talented Crystal Ocean. He admits that nothing has come to light for a slightly weak finish there, while also suggesting he feels it will be put behind him now. "Barsanti has come out of his run in the Hardwicke Stakes in good shape - he looks well and is training well," said Varian. "Nothing has come to light to explain his performance in the Hardwicke, where he was right there turning for home but did not finish off the race as we would have liked. Even so, he was not beaten very far. "I can't see any reason why the July Course will be a problem and the combination of a mile and a half and fast ground ought to suit him pretty well." Barsanti is 9/2 to score for Varian and Andrea Atzeni in the Princess of Wales's Arqana Racing Club Stakes. The Sir Michael Stoute-trained Mirage Dancer is 2/1 for the Newmarket race, having run well in the Wolferton at Royal Ascot recently. Raa Atoll, meanwhile, is 11/4 for trainer John Gosden, while Laraaib represents trainer Owen Burrows and Godolphin's hopes are carried by the Saeed bin Suroor-trained Best Solution.